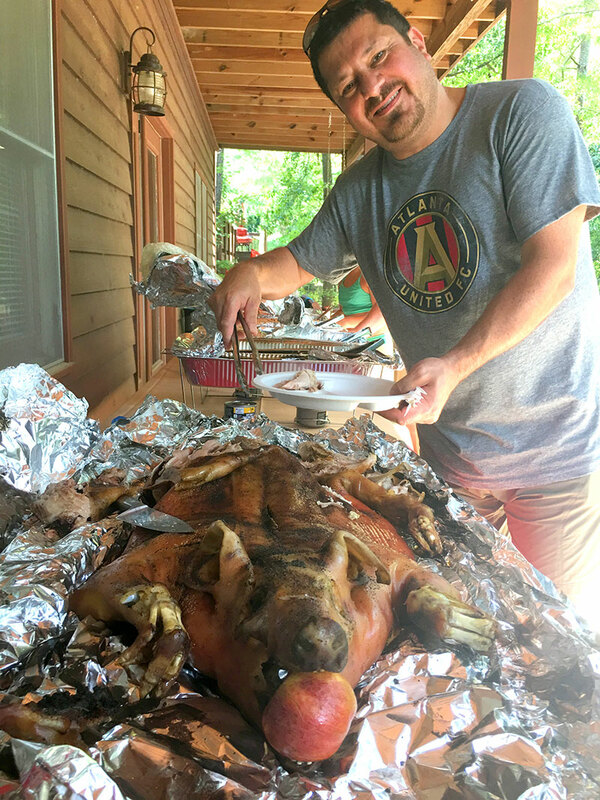 Georgia Smoke BBQ Caters a Birthday Party By Roasting Whole Pig, Smoking Beef Brisket, and Smoking Pulled Pork – Georgia Smoke BBQ is the Best Atlanta BBQ Catering Company. 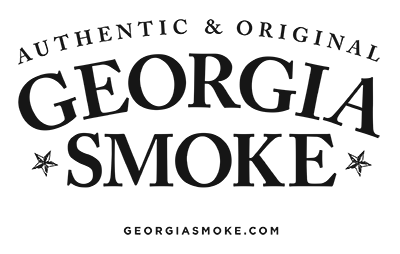 We Love What We Do and Do it the Right Way. 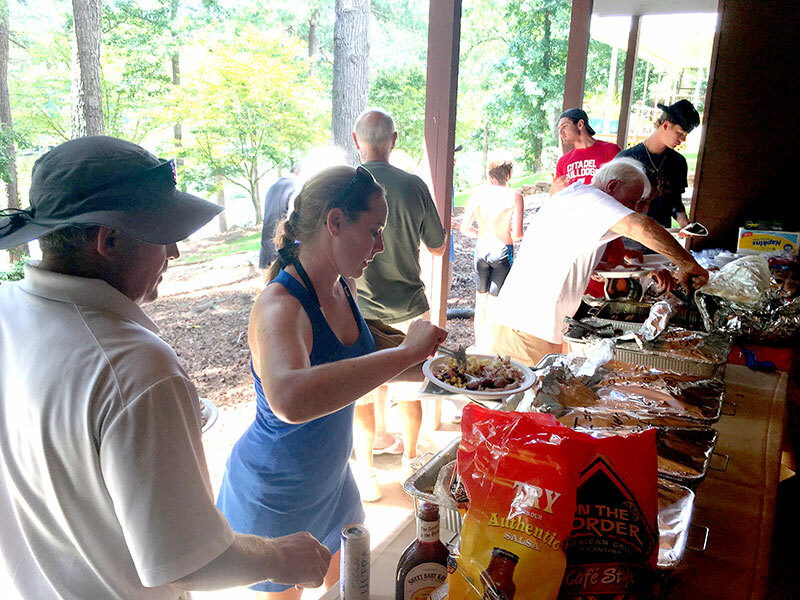 Georgia Smoke BBQ was recently retained to cater a special birthday celebration at Lake Jackson, Georgia. 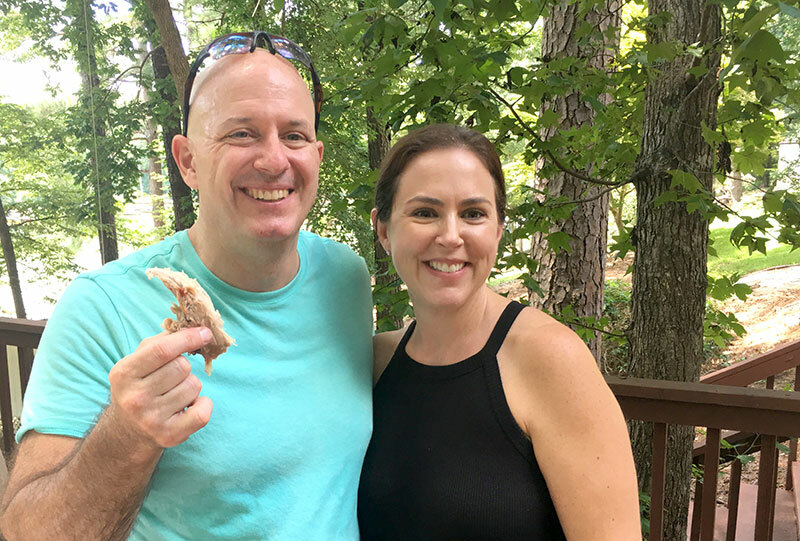 People from all over Atlanta attended the lake party to celebrate a whole pig, beef brisket, pulled pork, and a milestone birthday. 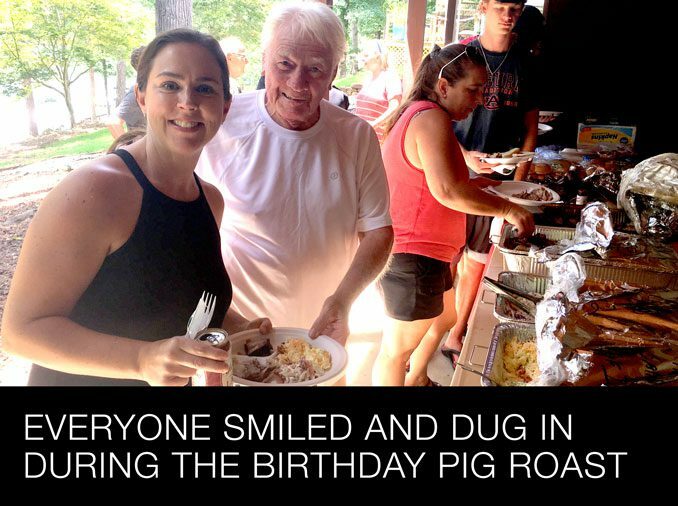 Menu items included a 65-pound whole pig, roasted and then finished off with the legendary Georgia Smoke flame thrower, Certified Angus Beef brisket, pulled pork, loaded tater salad, Georgia cole slaw, and garden-fresh corn and bean salsa salad. The attendees enjoyed their time together and loved the food and camaraderie. All of the food was cooked fresh-to-order the day of the party and was delivered on-time. We look forward to doing special event pig roasts like this in the near future.